If you are anything like us, it is hard to image that 2018 is just a few days away! 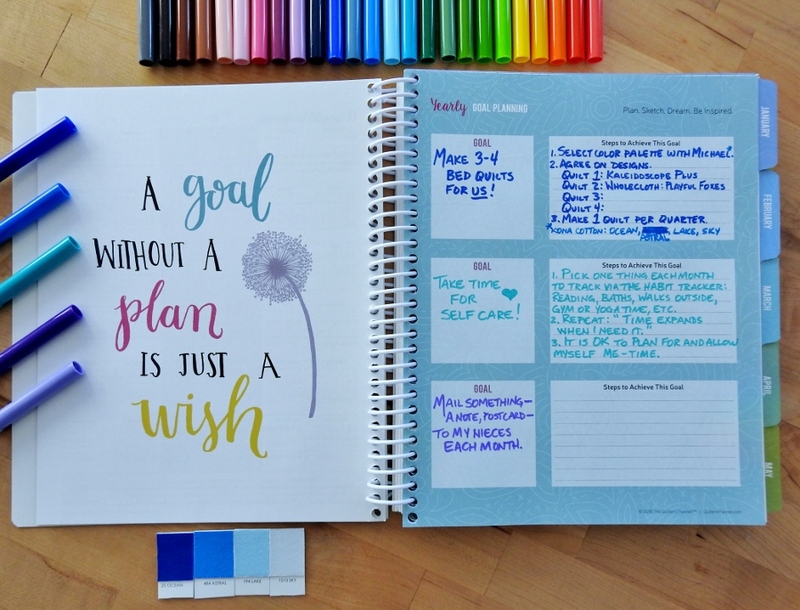 There is nothing like the start of a new year and the crisp, inviting pages of a new planner to set some intentions and goals, and The Quilter’s Planner offers a wonderful Yearly Goal Planning page at the beginning of the planner to help capture these for you. To get started, you might want to get a cup of your favorite beverage and a scrap piece of paper to begin with some brainstorming. Our friend and colleague, Yvonne Fuchs from Quilting Jetgirl, recently sat down and did just that! 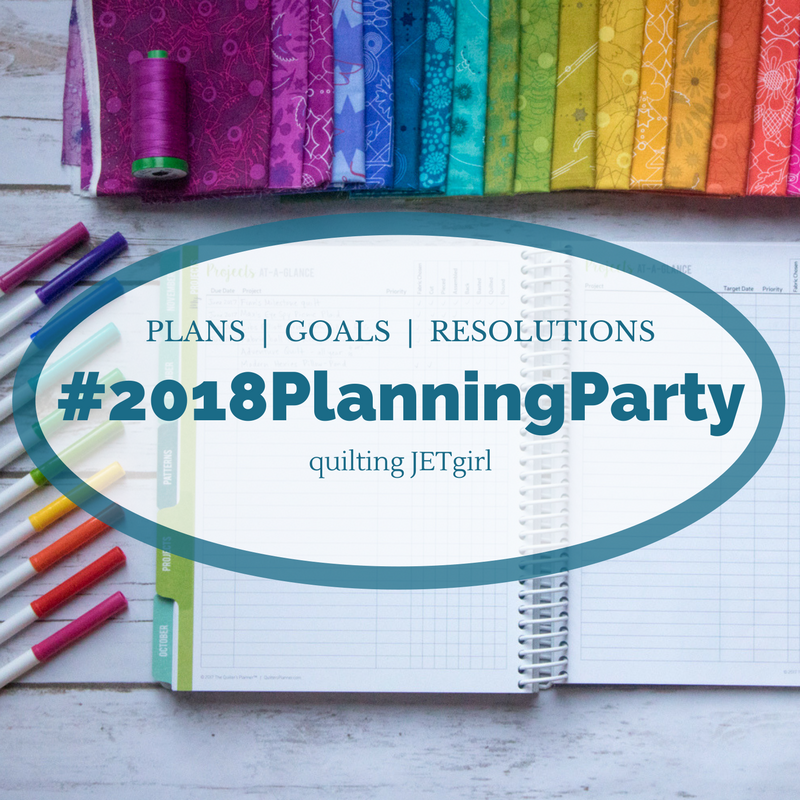 She’s here today to talk through her process of goal setting and how she is utilizing the Quilter’s Planner to get off on the right foot for 2018. Hello, and thanks for the great introduction, Stephanie! 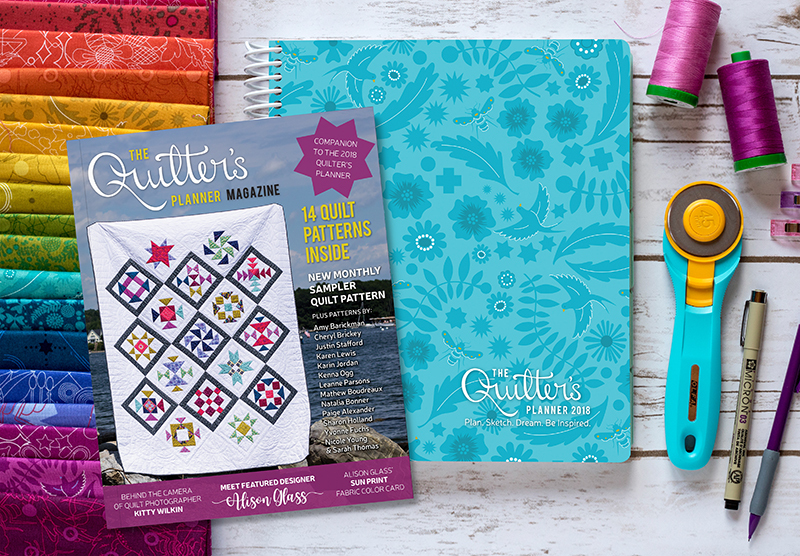 This is Yvonne, and I love using The Quilter’s Planner to help keep me organized and on track during the year. One of my favorite ways to prepare for the year is to set aside time every December to create goals for the next year. I start with a cup of tea, a blank piece of paper, and I allow myself time to think about anything that I want to accomplish. 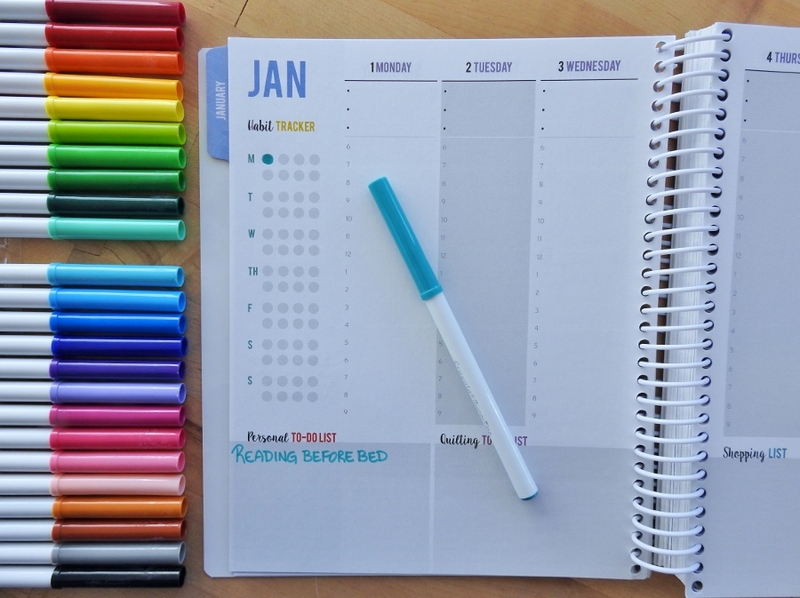 As you can see in my list in the photo above, I even start to think about how to track the goals in the planner (using the habit tracker), and for the really big goals, I marked them with stars. Once my big goals for the year are identified, I can put them on the Yearly Goal Planning page at the beginning of The Quilter’s Planner. I have to admit that even though I practiced what I was going to write out before putting it in the planner, I still needed to cross out and edit what I wrote. That’s OK! I’m not perfect, and my use of the planner isn’t going to be perfect, either. As long as all the information is there and I can use it as a reference during the year it is going to help me. I like picking different areas of my life to focus on for the year, so I chose a big quilting goal, a personal goal, and a family oriented goal for 2018. 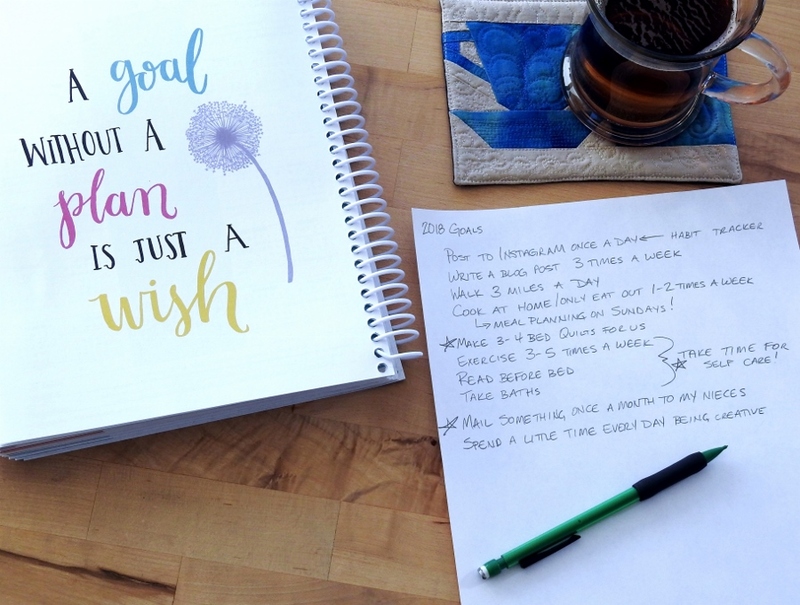 Taking the time to think through what steps I will take to make these goals a reality, which is the focus of the Yearly Goal Planning page is such a powerful part of the process. 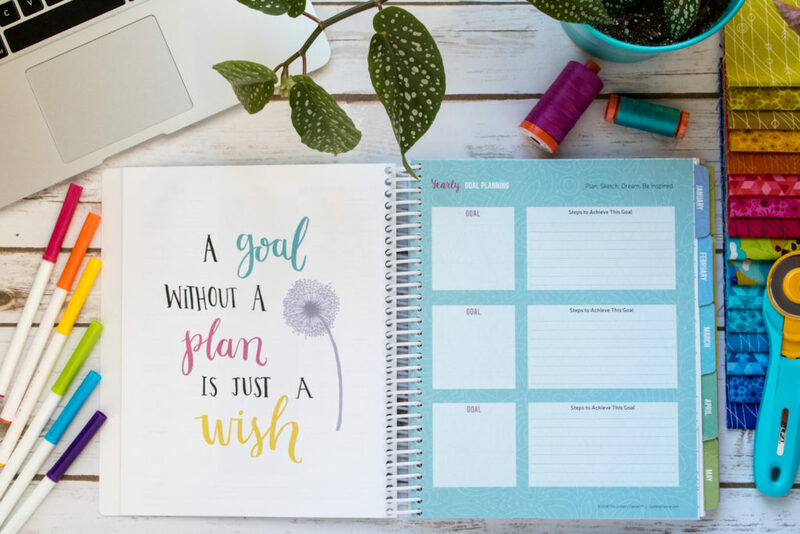 By establishing clear steps for how to achieve my goals, I can move immediately on to putting those plans into action using the other awesome features of The Quilter’s Planner. For instance, I went ahead and selected my first self-care goal for the month of January: reading before bed each evening. I am going to track my progress through the month using the new Habit Tracker, and I have a book on my night stand beside my bed waiting for me. I might as well get started establishing the habit now, right?!? For more goal setting inspiration and ideas, visit Yvonne at Quilting Jetgirl.